Hello, I’m interested in 472 E KAIBAB Place and would like to take a look around. The details on 472 E KAIBAB Place: This house located in Pinelake Estates, Chandler, AZ 85249 is currently pending sale for $500,000. 472 E KAIBAB Place is a 3,482 square foot house with 4 beds and 3 baths that has been on Estately for 8 days. 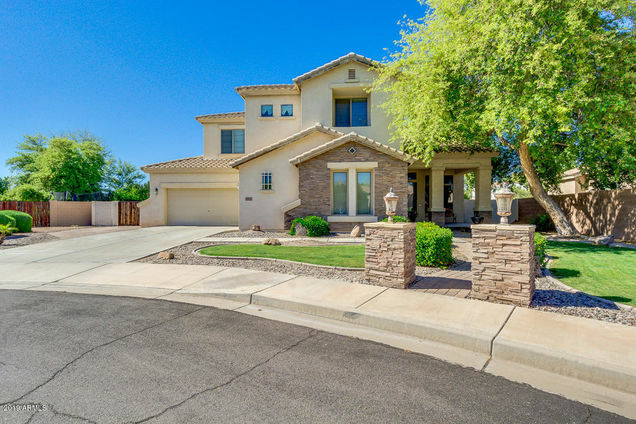 472 E KAIBAB Place is in the Pinelake Estates neighborhood of Chandler and has a WalkScore® of 21, making it car-dependent. This house is in the attendance area of Hamilton High School, Fulton Elementary School, and Santan Junior High School. Listing Courtesy of: ARMLS and Keller Williams Integrity First. This ARMLS logo indicates a property listed by a real estate brokerage other than Estately, Inc. © 2019 Arizona Regional Multiple Listing Service, Inc. All rights reserved. All information should be verified by the recipient and none is guaranteed as accurate by ARMLS. The information included in this listing is provided exclusively for consumers’ personal, non-commercial use and may not be used for any purpose other than to identify prospective properties consumers may be interested in purchasing. The information on each listing is furnished by the owner and deemed reliable to the best of his/her knowledge, but should be verified by the purchaser. Estately assumes no responsibility for typographical errors, misprints or misinformation. This property is offered without respect to any protected classes in accordance with the law. Some real estate firms do not participate in IDX and their listings do not appear on this website. Some properties listed with participating firms do not appear on this website at the request of the seller. This property listing is offered without respect to any protected classes in accordance with the law.